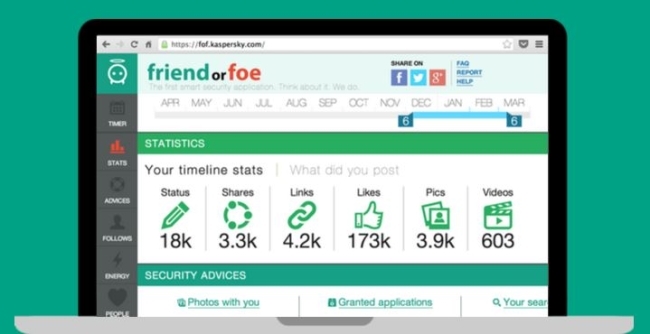 Online security firm Kaspersky Lab released its Friend or Foe Facebook application, which is aimed at helping users assess the potential threat levels caused by interaction with friends on the social network. How many photos and videos they have published. Where they have checked in. Which friends repost and comment the most. Which apps users are logged into and what permissions they have granted those apps. Photos they are tagged in. Publish your biography in full. 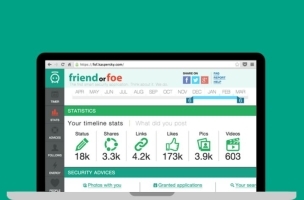 Readers: How careful are you on Facebook and other social networks?